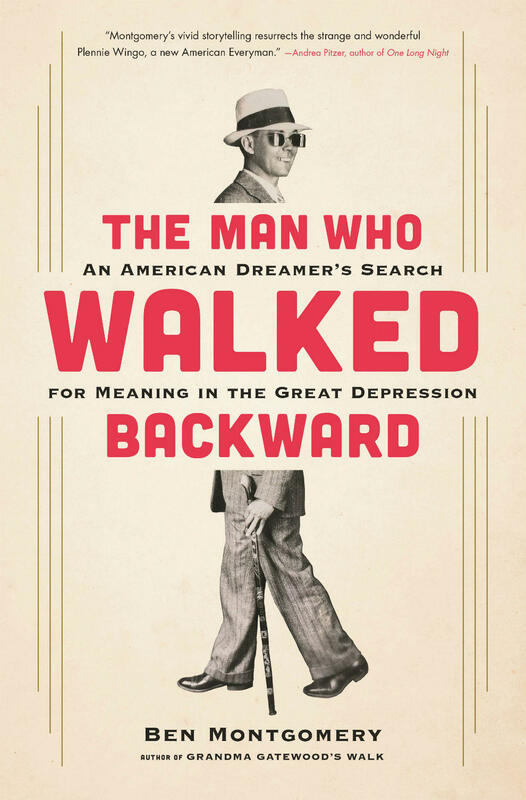 The following highlights are from an interview with Ben Montgomery about his book, "The Man Who Walked Backward: An American Dreamer's Search for Meaning in the Great Depression." To hear the full conversation, click the link above or subscribe to our podcast. Sarah Aronson: What kinds of things do you think about when you’re alone? 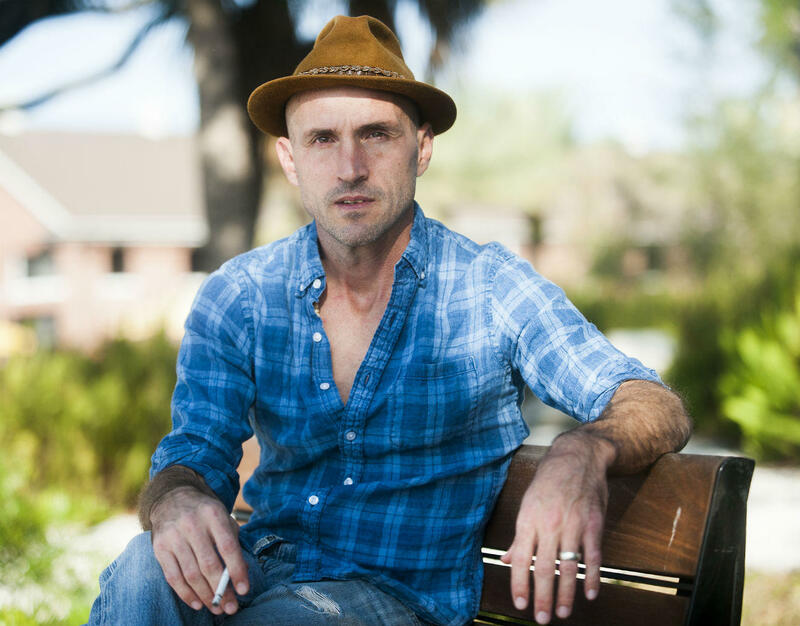 Ben Montgomery: What I’m going to do next to stave off death. You make a note at the beginning of the book that you came across Plennie Wingo while researching “unconventional pedestrians.” What draws you to that interest? I was working on my first book, "Grandma Gatewood’s Walk," which came out April of 2014. It tells the story of the first woman to solo thru-hike the Appalachian Trail—walk from Georgia to Maine by herself and in one season—and I just went down a rabbit hole. My life is full of going head first into rabbit holes. I had gone deep into this rabbit hole of pedestrianism of the 1880s through roughly the 1930s. I was reading about marathon walkers, which used to pack Madison Square Gardens (it was the sport of the day in the 1880s), and reading about people who had done wild pedestrian stunts. One guy walked one mile per hour for 1,000 hours, which is an incredible feat that’s hard to even wrap my mind around. I stumbled across this guy and I want to say I had seen him mentioned, so I began Googling and he had a Wikipedia page that was maybe two lines that explained the bare minimum: that in 1931 he had set off out of Fort Worth, Texas and headed backward. He made it all the way to Istanbul, Turkey then back to the US, and made it from California back to Fort Worth. That was it. It said nothing more, nothing about why, or who he was, or what led him on this wild journey. It struck me as novel at the time and I did not consider this to be a book. I had a no ambition when I first stumbled across it—it was just a little factoid—but I couldn’t stop thinking about it. I get haunted by these unanswered questions and this was one of them. I put it off and put it off and tried to ignore it and after years of this I returned to it . . . and we went off to the races. Have you spent time walking backward? Oh, for sure. I traced his route through Eastern Europe. I had the very good fortune of taking my 13-year-old daughter to Hamburg, Germany and we went by bike, car, train, plane from Hamburg to Istanbul. Every town he walked through I tried to spend at least a little time walking backward, especially spots I knew he had gone down this sidewalk. In Ruse, Bulgaria, he refers to the Golden Streets. Sure enough, there’s this section of town paved by these yellow bricks, but I knew he’d walked through this one section, and I couldn’t resist. If you think walking backward is hard, you should try walking backward through post-communist European cities in Bulgaria. The sidewalks are broken. It’s a challenge. America in the mid-1920s was synonymous with progress—Ford was churning out automobiles at what seemed an impossible rate; Campbell’s was offering more varieties of soup than anyone could dream of; Wall Street wantonly made millionaires. And then, it crashed. Plennie Wingo, the owner of a local café in Abilene, Texas, was just another ordinary man who lost it all. After struggling for months to feed his family, Wingo decided it was time to do something extraordinary, something that would rekindle his spirit of optimism and excitement, and maybe even make him rich. He would walk backward around the world. Plennie Wingo’s belief in his enterprise saw him through harrowing physical challenges and his own comic miscalculations. With his rearview mirror glasses, his cane, and the thirteen pairs of shoes he went through over the course of eighteen months, he came to be known around the world. He walked backward through a changing America, through a Germany where Hitler was beginning to ascend, and on through Eastern Europe, Greece, and Turkey, where his adventure ended in a jail cell, his entry into Asia denied. When he got home he had four dollars in his pocket and a stack of press clippings. For all that he had done, for all the attention he had received, heartbreakingly, Plennie Wingo died in poverty in 1993, still trying to figure out a way to monetize his walk around the world. Ben Montgomery is a masterful storyteller, and in this book he offers a rich, quirky slice of Americana, drawing on Plennie’s letters home, Plennie’s own account of his trip, and archival research on the rapidly transforming world of the 1920s and 30s. Ben Montgomery is a former reporter for the Tampa Bay Times and the author of Grandma Gatewood’s Walk, which received new attention this year when the New York Times wrote an obituary for Grandma Gatewood as part of their new series on women whose deaths had been overlooked. Founder of the narrative journalism website Gangrey.com, he was a finalist for the Pulitzer Prize in local reporting and won the Dart Award and the Casey Medal. Between 1864 and 1889, the buffalo were exterminated, the Indian wars ended, tribal nations were confined to reservations, cattle and sheep by the tens of thousands grazed the open range, Butte exploded into a city with electricity and millionaires, and multiple railroads connected Montana to the world. “Montana 1889” tells the many stories of this overwhelming transformation by entering into the lives, emotions, and decisions of Indians, miners, cowboys, women, and entrepreneurs who were cooperating and competing in the new state. We are excited to offer an exclusive extended interview with Ken Egan about his book Montana 1889 via our podcast and web streaming.